Ulrich Stöcker, Team Leader of the Oder Delta German team. After years of working for the Brandenburg Ministry of Nature Conservation, he joined the non-profit Deutsche Umwelthilfe (DUH) in 2009. Getting in touch with the rich biodiversity especially in former mining and military areas in Brandenburghe became an active wilderness advocate, as the protection of wild areas and encouragement of natural processes is one of DUH´s key concerns, on top of being an issue close to his heart. In 2012, he was approached with an exciting new proposal. A new rewilding area was to be established in Germany, and Rewilding Europe’s Advisor Magnus Sylvén asked Ulrich for suggestions on suitable areas. Immediately, Ulrich thought of the Oder Delta, that rich transboundary landscape mosaic stretching along the Baltic Sea, and along the German-Polish border. Part of the East Atlantic flyway, an important breeding ground corridor, it is famed for its bird life, and is Germany’s number one hot spot for white-tailed and lesser spotted eagles. Importantly, it also lies along the westward migration corridor for large mammalian species returning to Germany from Eastern European countries, such as wolves or elks. 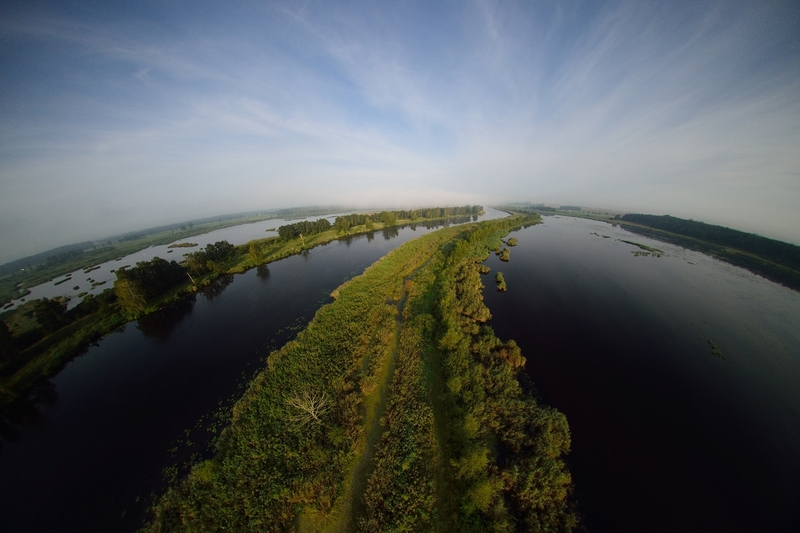 As a result, the future of the Oder Delta seems bright, from an ecological point of view. Peene river and flooded lands near Anklamer Stadtbruch, Oder Delta, Germany. However, this is not the only reason why Ulrich suggested the area. Land abandonment, which has been one of the leading factors in the rewilding of rural areas across Europe, has been occurring across the Delta, raising questions about the future of the area’s local communities. At the same time, the economic potential of its natural world became apparent when a television feature about cranes in the Delta attracted hundreds of visitors, highlighting the importance of protecting its resident wildlife, and of encouraging people from all over the country and beyond to come and enjoy it. Unsurprisingly, developing local nature-based enterprises in a sustainable and mutually beneficial way has been one of Ulrich’s biggest challenges since becoming Oder Delta’s German team leader in 2015. Historically, local residents have been skeptical of outside efforts to protect nature, but these attitudes are now slowly changing. Beaver-watching is becoming more and more popular, providing new job opportunities while involving locals as stakeholders in wildlife conservation. To Ulrich, this is the only way forward, as conservation can only truly work as a bottom-up process which starts by winning over people’s hearts and minds rather than by imposing new regulations upon them. 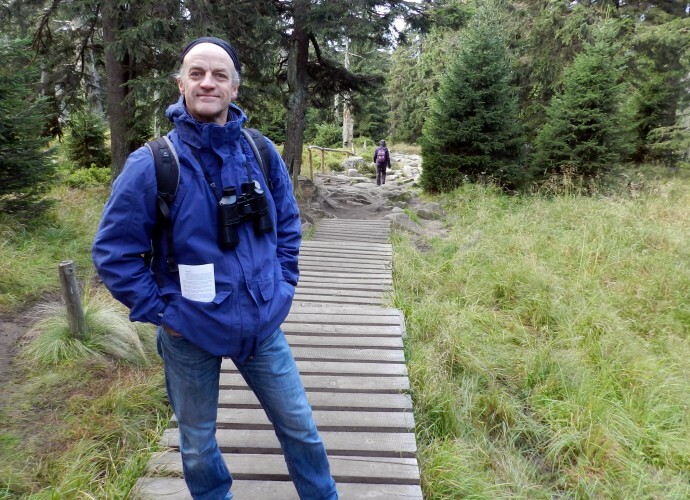 Eventually, Ulrich hopes to transform the Delta into an ecologically intact wildlife haven and a model for a new kind of nature tourism in Europe. Having been involved in the designation of Botswana’s Okavango Delta as the 1000th UNESCO World Heritage site, he is a strong believer in the African approach to ecotourism as a conservation tool. This is particularly relevant for the Oder Delta, where the African concept of the ‘Big Five’ could be used to promote what could one day be the area’s ‘Big Seven’. Wolves, white-tailed eagles, elks, beavers, grey seals, sturgeons and salmons are already present, and the return of bison seems only a matter of time. These prospects give Ulrich a strong sense of optimism about the ecological and economic future of the Oder Delta, and about its potential to instill in Europeans a renewed sense of pride in their rich and exciting natural heritage.